Without doubt, Ray Bradbury is one of the greatest 20th century genre fiction writers. 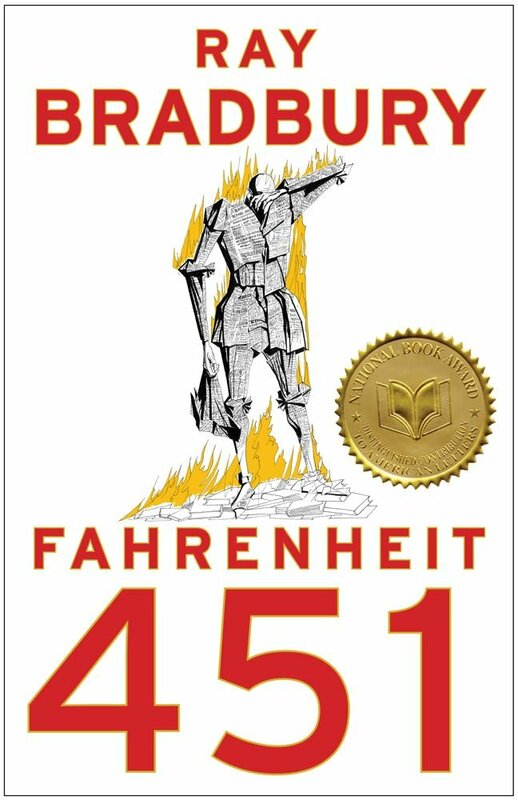 His Fahrenheit 451 is one of the trinity of great dystopian novels of the generation (with Orwell’s 1984 and Huxley’s Brave New World). 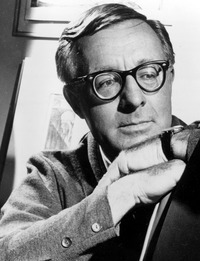 The mind behind the b/w SciFi cult classic It Came from Outer Space, Bradbury burst onto the science fiction scene in the 1950s, creating gripping worlds in whatever genre he took up. I still regard his short story “All Summer in a Day”—the tale of a schoolgirl on Venus who remembers Earth’s sun and looks forward to the once-in-seven years occurrence of the sun on her new planet—as among the greatest short stories produced in English. By the time Bradbury had published his famous story collection, The Martian Chronicles, Lewis had grown weary of the genre. Although he is now one of the recognized fathers of “scientifiction,” the stories he had encountered since WWII were not to his taste. His own Ransom Cycle really moves from classic space SF to speculative fantasy to technological dystopia. 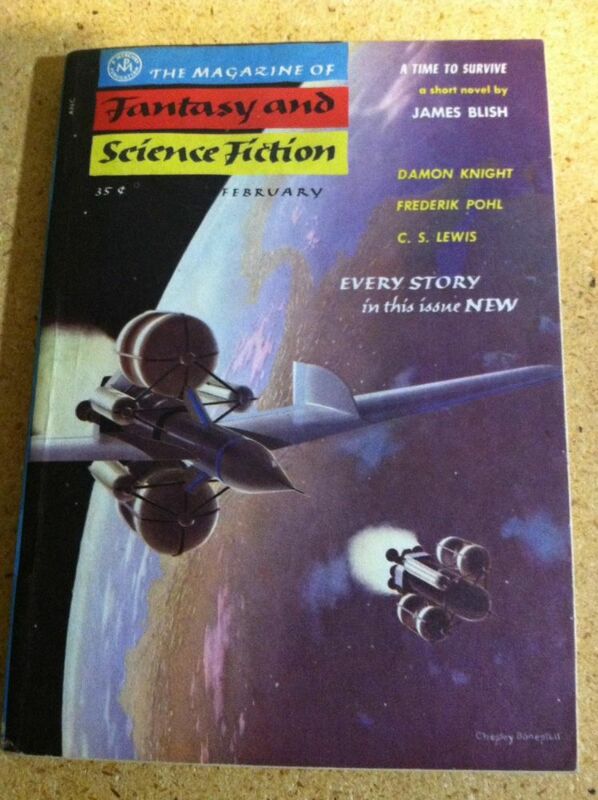 For Lewis, the explosion of SciFi magazines, especially in the United States, were not helping what he still considered to be the real core of science fiction: the “romance,” or classic adventure story. As it turns out, Lewis’ interest in SciFi was reinvigorated in a number of ways–and often with surprising connections to the great SF of the 1950s. “It would be only fair to point out that your position might be somehow analogous to that of a Christian martyr in the arena, but I trust that consideration would not deter you” (Feb 13, 1953 letter). Lewis refused not because of danger—even though “Probably the whole thing is only a plan for kidnapping me and marooning me on an asteroid!” (Feb 14, 1953 letter)—but because he had already said what he wanted to say. “All my imagination at present is going into children’s stories [Narnia]. When that is done, I may try another fantasy for adults, but it wd. be too quiet and leisurely for your magazine” (Feb 5, 1953 letter). As it turns out, Lewis would send two stories to Boucher in the mid-1950s, “Ministering Angels” and “The Shoddy Lands.” Neither of these are brilliant, but “Ministering Angels” shows Lewis’ sense of parody well. It also shows that Lewis had a mounting renewal of interest in SF as a way of telling stories. Lewis went on to give a lecture at Cambridge called, “On Science Fiction.” And one of the delights of the collection Of Other Worlds is an interview between Lewis and two other genre writers, Kingsley Amis and Brian Aldiss. Now called “Unreal Estates,” it is a brilliant peak into science fiction conversations at the dawn of a generation lost in space. How Lewis gets to the point of thinking critically about SF and actually writing stories may also be because of “the real things” he had been encountered recently. Anthony Boucher’s stories, but especially Ray Bradbury’s, were influential in the renewed interest. “I have just read two books by an American ‘scientifiction’ author called Ray Bradbury. Most of that genre is abysmally bad, a mere transference of ordinary gangster or pirate fiction to the sidereal stage, and a transference which does harm not good. Bigness in itself is of no imaginative value: the defence of a ‘galactic’ empire is less interesting than the defence of a little walled town like Troy. But Bradbury has real invention and even knows something about prose. I recommend his Silver Locusts (Feb 3, 1953 letter to Nathan Comfort Starr). “As far as I can remember you were non-committal about [Clarke’s] Childhood’s End: I suppose you were afraid that you might raise my expectations too high and lead to disappointment. If that was your aim, it has succeeded, for I came to it expecting nothing in particular and have been thoroughly bowled over. It is quite out of range of the common space-and-time writers; away up near Lindsay’s Voyage to Arcturus and Wells’s First Men in the Moon. It is better than any of Stapleton’s. It hasn’t got Ray Bradbury’s delicacy, but then it has ten times his emotional power, and far more mythopoeia” (Dec 22, 1953 letter). It could that if Lewis lived he would have returned to Science Fiction. Note that all of these letters are from 1953. Lewis is just at the point finishing his last three Narnian chronicles. He will never return to the fairy tale form of Narnia. Instead, he will spend the last decade of his life focussing on short literary criticism books (often converted lectures), writing some Christian books, and working on his spiritual autobiography, Surprised by Joy. He was perhaps caught up in myth-retelling in his vision for fiction; mythmaking is, after all, what he liked best about the best SF and fantasy authors. 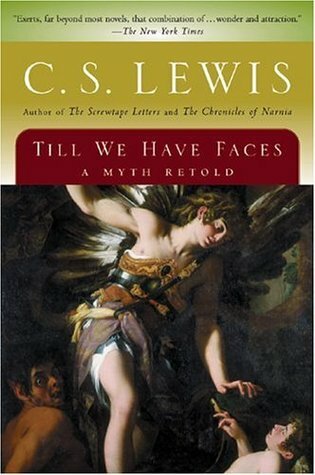 His Till We Have Faces was a brilliant version of this, and though slow in sales, is a superb example of what Lewis could do in the genre of the novel. He sketched out another myth retold, writing a few pages of something about Troy. But he never got his teeth into it. All of these 1950s SciFi superstars helped lift Lewis’ chin to the possibilities of Science Fiction—a vision that may have blurred a bit over the years. It testifies to the quality of post-WWII SF writing, how the genre becomes its own. Technological, dystopic, robotic, and space fantasies explode in popularity, forming the imaginations of a generation—not just in reading, but in social and scientific possibilities. 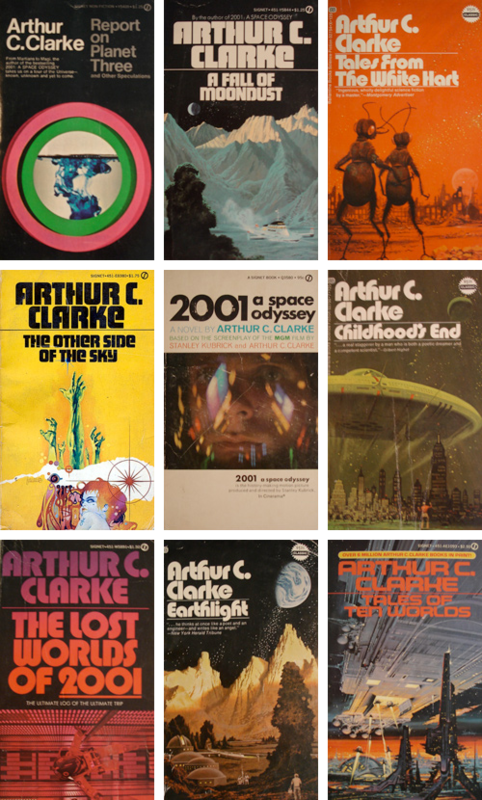 The quality of Ray Bradbury’s writing, the generosity of Anthony Boucher’s critical eye, and the tenacity of Arthur C. Clarke’s vision were influential not just for boys like me reading library copies in his farmhouse bedroom, but also for leading lights like Lewis. This entry was posted in Lewis Biography, News & Links, On Writing and tagged 1984, All Summer in a Day, Anthony Boucher, Arthur C. Clarke, Fahrenheit 451, George Orwell, It Came from Outer Space, letters, Narnia, On Writing, Ransom Trilogy, Ray Bradbury, Science Fiction, SciFi. Bookmark the permalink. Thanks for the reblog Hanna. Ray Bradbury has years of reading ahead for all of us, I think. I’m not a huge fan of SciFi, just a good reader of it. Bradbury, Clarke, Lewis–these are in my top 20. Definitely. I’ve read three of his books and can’t wait to dig into more of them! I’m not really a big fan of science fiction in general either. I think part of Bradbury’s genius is that he is able to make people care about things and stories that they normally wouldn’t be interested in. Love this! Fascinating tidbits here. 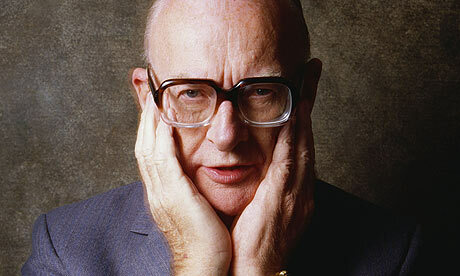 I love the thought of Arthur C. Clarke and C.S. Lewis exchanging letters, and having the curtain pulled back on some of the books that Lewis read. One tends to think of these writers in isolation, forgetting that they were part of a whole culture of writers who all were reading each other’s works. There’s a whole book on the Clarke-Lewis letters, but I haven’t read it. It is nice to pull back that curtain from time to time. Your point on culture is a keen one. It is interesting to compare Lewis’s serious enthusiasm for good science fiction and that of another classically-educated academic, teacher, and writer (eight years his junior), Gilbert Highet. I can’t remember what-all I’ve read by him about it and where, or what (if anything) about any personal contacts with Lewis in Oxford in the 1930s, but A Clerk of Oxenford, of the same vintage as the Lewis letters quoted, has somehow found its way into the Internet Archive with its opening essay, “Perchance to Dream” featuring praise for Bradbury and Clarke comparable in detail, and ending with a little recommended-reading list. I am ill-read in science fiction (after a good (historical) start as a boy with Verne and Wells), though Lewis happily halped get me to read Childhood’s End and got me to read Voyage to Arcturus. Lately, LibriVox has been helping me broaden and deepen my science fiction reading. Someone I’ve very much enjoyed is H. Beam Piper, starting most fortuitously with the superb reading of Little Fuzzy (1962). Again, you have a great way of finding unusual connections. I am ill-read in SF too, mostly, but over a lifetime I have done well. I have to check out soem of the librivox SciFi. Anthony Boucher’s short story “the quest for saint aquin” mentions screwtape, a name used by the hero as an accusation of his tempter. Awesome–I will hunt that down. I didn’t know. if you can get it though your library, /science fiction hall of fame , vol. 1, 1929-1964/ has culled excellent stories from CSL’s timeframe — where i found this one. I’m heading there next week! if you ever get a chance, let us know what you think of it? the story’s Technarchy must have made the AI…but? i’ve been rereading it and am still a bit puzzled. For Anthony Boucher’s allusions to Lewis’s writings, see my “In the C. S. Lewis Tradition: Two Short Stories by Anthony Boucher,” _Mythlore_ 2.3 (#7) (1971): 25. “Th Quest for St. Aquin” is one of the stories. Thanks for sharing this, Joe.